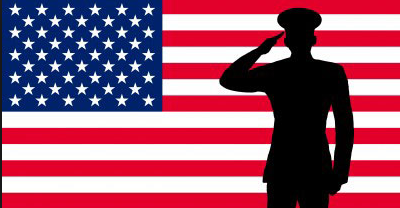 Today Nov. 11 we celebrate and honor the brave men and women who dedicate their lives to protect this great land. We are in the Army of The Lord, sworn in by our confession of faith. Our Commander-in-Chief is The Lord himself, there are hundreds of thousands of believers, no one can stop us. Being the wife of a 20 year active duty Marine a few things I have learned are very similar in both physical and spiritual armies. 1. No matter how you feel about a situation you always obey orders. This is major in the Army of God, we often only love on the people most like us, in our denomination, neighbors, or ethnic groups. We should love everyone as Christ commanded us. Once you put on your uniform, you are no longer allowed to conduct yourself in any other fashion but the highest level of respect. When we see our brother/sister fall, we should be quick to pick them up and carry them if necessary to safety. We should always be on the lookout to encourage them ensuring they return safety into the arms of Christ. it’s hard on new recruits to learn everything all at once. We should be the living example for people to follow. Always being careful not to lead anyone astray, but showing them that you can make it! we need to be ready to fight for our lives, families, finances, peace, joy, hope etc. The enemy is always on the lookout for us to let our guard down. we need to always have on the whole amour of God so they we are ready at a seconds notice to stop the enemy dead in his tracks. we have to train daily, read our word, pray, and meditate. God is our command, he goes before us in any battle. I enjoyed the way you broke that down..Good message. thank you beautiful, God is moving.